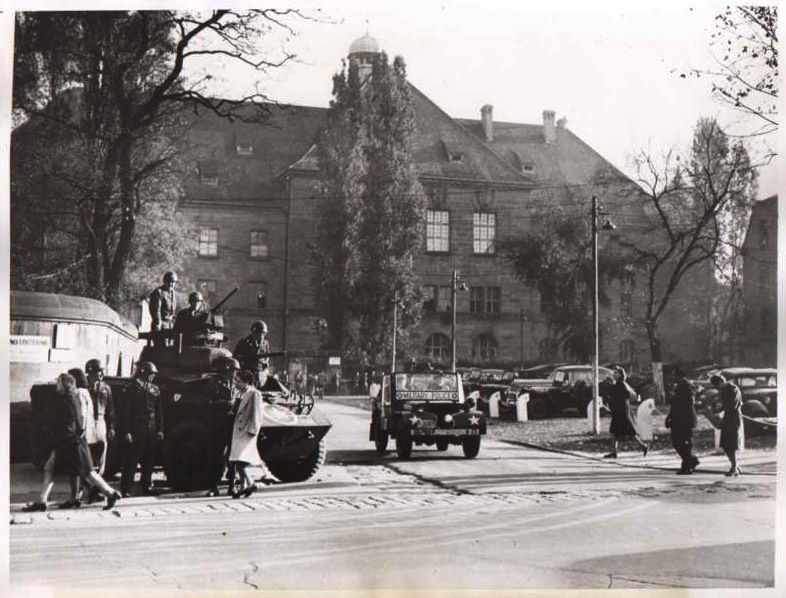 Military security in front of the Palace of Justice just before 1 October 1946. On that day the tribunal announced the verdicts on twenty-two of the original defendants. Three of the defendants were acquitted. Four received sentences of imprisonment ranging from ten to twenty years. Three received the sentence of life imprisonment. Twelve of the defendants were sentenced to be hanged (done on 16 October 1946). Martin Bormann was condemned to death in absentia, and Hermann Göring committed suicide before he could be executed.